Serves 6. Preparation time 5 minutes. Cooking time 2-3 hours. • Cook for 2 - 3 hours or until the meat is tender. 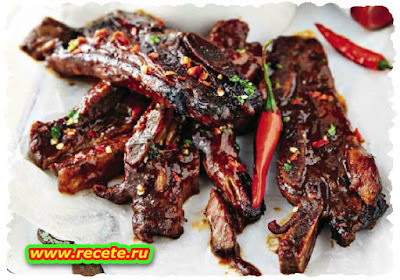 Remove the ribs from the pot Baste with the sauce in the pot and braai or grill to char in places. Scatter with fresh chilli and serve.